Last week Beamdog Studio Director Phillip Daigle and Marketing & PR Manager Lee Guille shared the latest Beamdog news and updates on Neverwinter Nights: Enhanced Edition and the Infinity Engine Enhanced Editions. 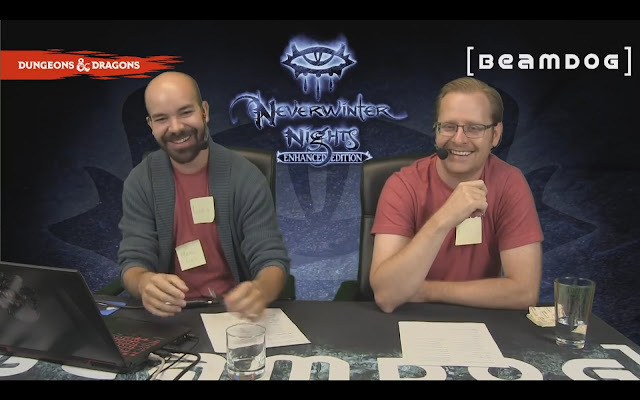 We also played a fun piece of never-used-before Minsc voice over. Beamdog will do a special announcement panel on PAX West. You might see changes regarding our announcements there in the near future. If you can’t make it to Seattle, tune on Twitch: we’ll be streaming our panel on the Beamdog Twitch channel! If you’re local to Edmonton, show up to Edmonton Expo in September! Sign up for our newsletter! We’ll be running some newsletters soon with a bunch of contests, including a chance to add a fantasy version of a winner’s portrait into our games! If you’re not following our Steam Developer page – you should! You’ll be automatically notified when we release new games. We’re hiring! If you get skills, get in touch with us! Beamdog is moving to a new, bigger office in Edmonton! Now you can use new models of Rapiers and Kukris in Neverwinter Nights: Enhanced Edition from the Steam Workshop! 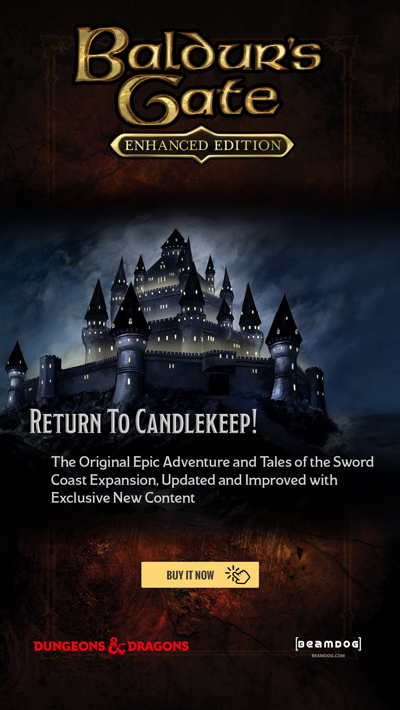 We’ll finish the 2.5 update series with one final patch for Icewind Dale: Enhanced Edition. The Mac App Store will get all the updates as soon as we’re finished with the 2.5 update series. After the 2.5 patches we’ll be able to push localization updates to Baldur’s Gate: Enhanced Edition, Baldur’s Gate II: Enhanced Edition and Icewind Dale: Enhanced Edition more frequently. There’re a few localization updates for Planescape: Torment: Enhanced Edition planned in the future! A new development build for Neverwinter Nights: Enhanced Edition will hopefully go out this week. Among other features, it will include the Road to 2.0 winners portraits (also added to Baldur’s Gate: Enhanced Edition and Baldur’s Gate II: Enhanced Edition as a part of the 2.5 patches). You can see a couple of new updates for Neverwinter Nights: Enhanced Edition on the Steam Workshop! Enhanced Kukri and Rapier models are now available. We also have reuploaded some of the previously updated models and released an update to the Aribeth example model, fixing conflicts with enhanced weapon models. We’d like to provide an alternative to the Steam Workshop for Beamdog and future GOG Neverwinter Nights: Enhanced Edition players by uploading all our enhanced models on Beamdog.com. During the time we were recording voice over lines for Siege of Dragonspear we asked Jim Cummings to voice a few funny things for the trailer. Now you can listen to an exclusive, never-used-before Minsc line! 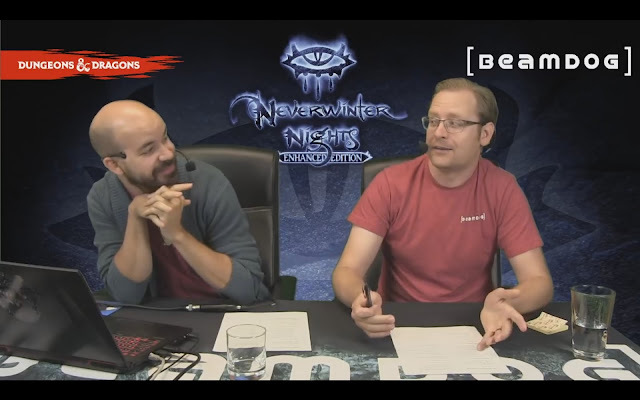 The NWN:EE team is currently discussing our approach towards updating all textures in Neverwinter Nights: Enhanced Edition. After finishing heavy features for Neverwinter Nights: Enhanced Edition such as “NWSync” and 64-bit support, we plan to start including popular features from the Input Trello Board. We have a plan for adding Steam achievements for Neverwinter Nights: Enhanced Edition, but it won’t happen for a little while yet. The TTF fonts support and the UI scaling for Neverwinter Nights: Enhanced Edition are coming, these features already work in our internal build. 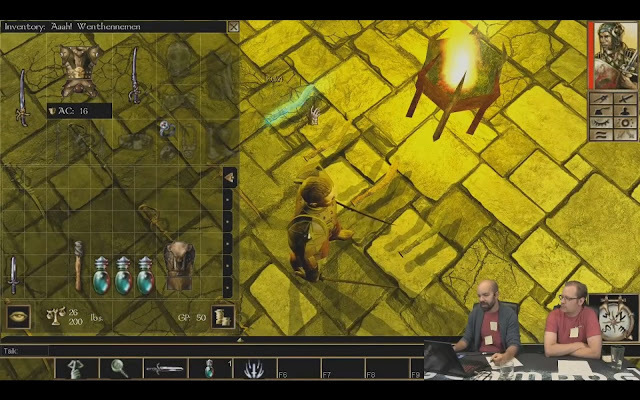 If you plan to create a Premium Module for Neverwinter Nights: Enhanced Edition, get in touch! 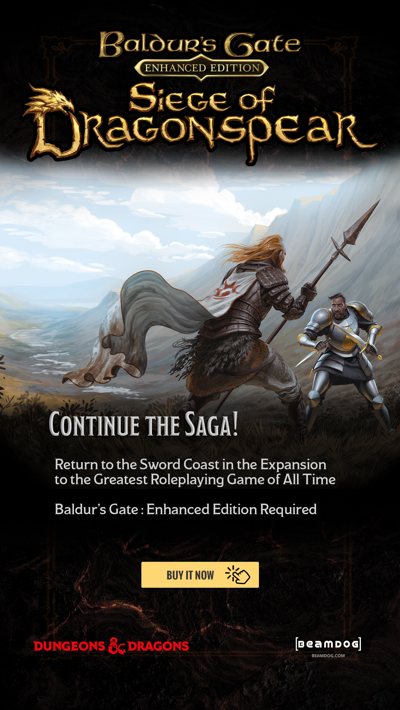 Any content for it should use the 3rd Edition D&D rules and happen in the 3rd Edition timeline. We’ll be bringing people from the community to talk to during our livestreams. Stay tuned!